Happy New Year to all. This is the first post of 2017 on the first day of the year. 2016 wasn’t ideal but things began rolling a bit. For 2017 I hope things will improve more and I will be able to make more and better photos. I took the photo of the white cyclamens this morning. It is not the first photo of the year but within the first batch. 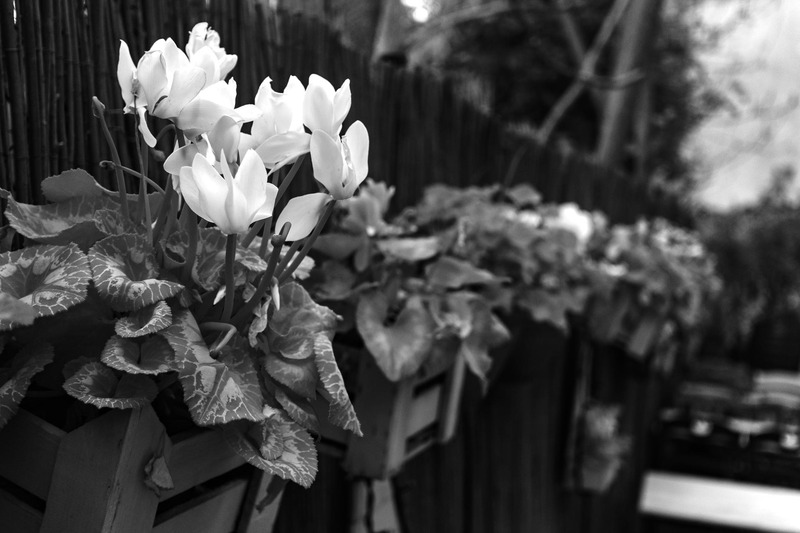 Cyclamens are winter flowers and white is a colour of purity and light. Therefore it is a perfect subject for the first photo of 2017.